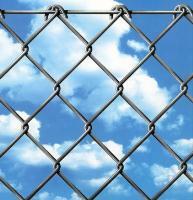 Chain-Link fabric is used in most fences. In order to build this patterns, a machine shapes and feeds the wire in order to create a chain-link.The main problem with the existing convencional machines is the coupler. Servo installation is possible both to old and new machines. Modifications varies from small changes (encoder installation on the motor and appropriate settings in the servo to operate the machine with the existing cabin), till total retrofit with the installation of new gearbox, motor, panel and PLC.The benefits of the upgrade is the absence of the brake which needed maintenance. Also with the controlled accelerations and decelerations, machine runs smoother with less mechanical strain and less noise. With full retrofit, PLC use improves ergonomics and reliability.